If you are fond of fruity scents then you got to try The Nature’s Co. skincare products. I had tried The Nature’s Co Mango Crème Body Wash and Lip Pop. Both smell refreshing and delicious and not to mention THEY WORK! 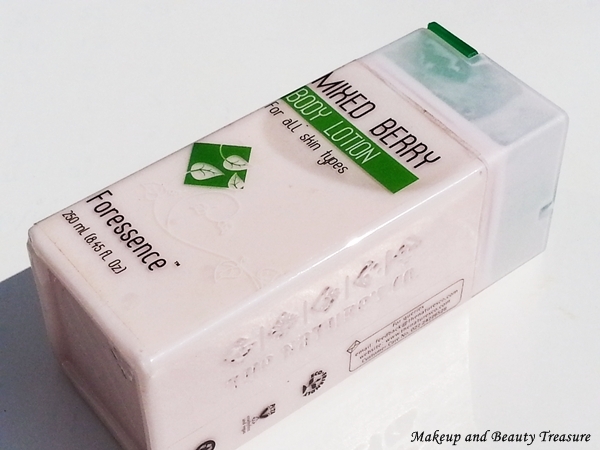 Today I am going to review The Nature’s Co. Mixed Berry Body Lotion* which has become my favorite in this chilly weather! It is priced at 625 INR and you can buy online HERE. The Nature’s Co. Mixed Berry Body Lotion comes in a rectangular shaped sturdy semi opaque plastic bottle with a green flip top lid. The packaging is pretty unpractical as it gets leaked whenever I carry it in my bag while traveling. So whenever I need to travel, I pour it in a travel size bottle and I am ready to go! The body lotion is pink-ish white in color with a lovely, yummy scent of “mixed berries”. I am totally in love with this scent. It is neither very mild nor very strong. It is just perfect for me! The texture of the body lotion is soft and smooth with a perfect consistency. It is neither very runny nor very thick. It applies effortlessly onto my skin and gets absorbed almost instantly. The lovely scent makes the application all the more wonderful. Body lotion is a must have for me in winters and I never forget to carry it with me in shower. 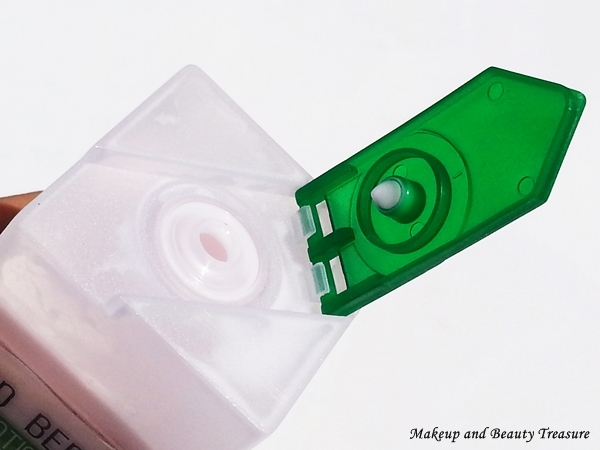 It is incredibly moisturizing and melts into the skin within seconds. It leaves my skin feeling soft, smooth and moisturized. The scent lingers with me mildly for a good few hours. As the winter season has already arrived, my body skin is prone to dryness and I do feel the need to apply this body lotion at the end of the day. It is a light yet moisturizing body lotion but if you have extremely dry skin then you might need to reapply it after every few hours. After applying the lotion, I do not feel the need to wash any remaining product from my hands. It contains glycerin, Vitamin E and olive oil that keep skin soft, smooth and hydrated. • Refreshing and yummy fruity scent. • The scent lingers for quite a few hours. • Contains all natural and good ingredients. • Might not be enough moisturizing for dry skinned beauties! 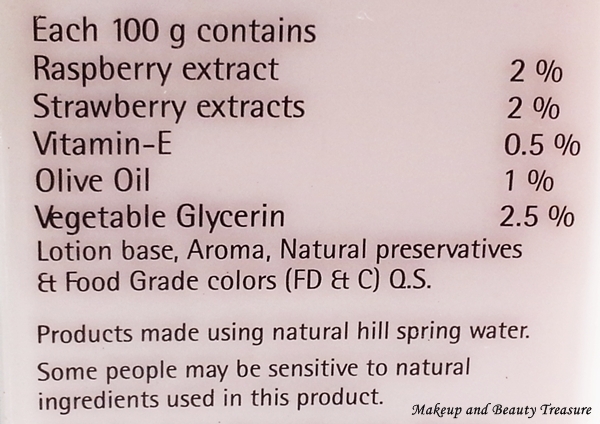 Overall The Nature’s Co. Mixed Berry Body Lotion is one of the loveliest scented body lotion I have tried lately. It not only smells amazing but also keeps my skin soft, smooth and hydrated. It does not leave any greasy residue behind and feels good on the skin. If you have oily, normal or dry skin then I would happily recommend it to you! It makes me feel refreshed in the morning! Use it right after you take shower. Body lotions work great when applied on damp skin! I also use it as hand cream! It makes hands super soft! Have you tried The Nature’s Co. Mixed Berry Body Lotion? Do you love fruity scents in skin care products? Labels: Body Care, Body lotion, Product Reviews, The Nature's Co.